You heard right – the top-telling artist who brought you “Babylon,” is back with an armful of new melodies to be released in 2019. 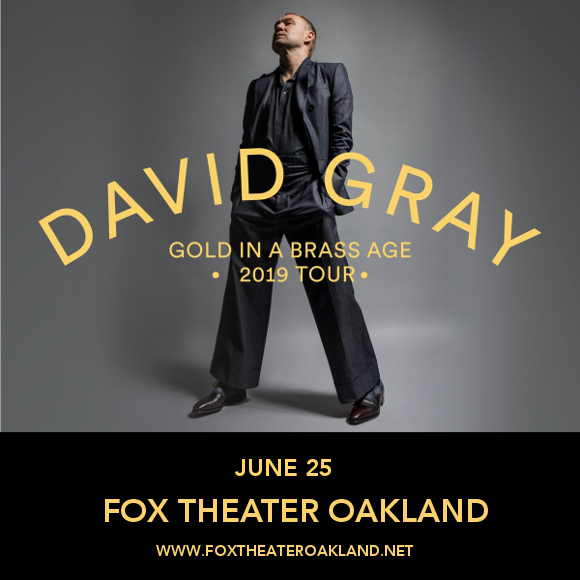 The Fox Theater Oakland is proud to welcome David Gray to the stage on Tuesday 25th June 2019! Fans are recommended to grab tickets early – they’re guaranteed to sell out soon! Best known for his album “White Ladder,” released in 1998, David Gray’s success story was a slow but steady one, with “White Ladder,” being rediscovered by the world at large three years after its release – but once that happened, Gray’s success was unstoppable. Listen to “The Sapling” below – and be quick about getting your hands on those tickets!